The Florida State University College of Social Work will host Vishanthie Sewpaul, international social work expert and professor at the University of Stavanger, Norway, Jan. 22 through Feb. 1. While at Florida State, Sewpaul will meet with various communities and organizations and deliver two free, public lectures on the topics of social justice and transformation and the life and legacy of Nelson Mandela. Sewpaul is widely published in the areas of social justice, human rights and international social work. Her expertise focuses on vulnerable populations, globalization and community work. A professor emeritus of University of KwaZulu Natal in South Africa, Sewpaul was at the forefront of policy and social work education in post-apartheid South Africa. Sewpaul has served in leadership positions at national, regional and global levels. In 2000, she joined the board of the International Association of Schools of Social Work where she chaired several committees and eventually served as vice president of the organization. 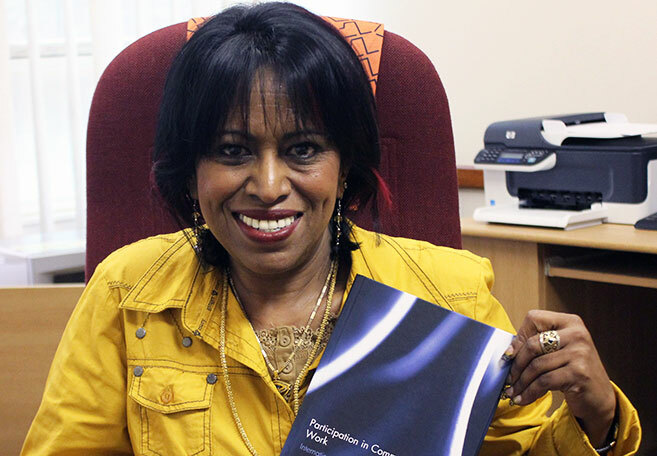 Sewpaul also served as president of the National Association of Social Workers, South Africa, the first ever non-racial professional association and the Association of South African Social Work Education Institutions. Thursday, Jan. 24, 4:30-6:30 p.m. The Globe Auditorium, Center for Global Engagement, 110 S. Woodward Ave. Professor Sewpaul will explore the use of teaching strategies geared toward helping people appreciate that they are not passive victims of societal control. She will discuss how through heightened consciousness, validation and enhanced self esteem, people can develop the capacity for constructive engagement to challenge sources of oppression and privilege. A reception will take place at 4:30 p.m. Politics with Soul in Dystopian Times: The Legacy of Nelson Mandela Tuesday, Jan. 29, 5 – 7 p.m.
Broad Auditorium, Claude Pepper Center, 636 W. Call St.
Sewpaul will share some of her biography to highlight personal-political identity links and how a transformed consciousness can contribute to political engagement and change. She will argue that against contemporary dystopia, Nelson Mandela’s politics with soul and utopianism provided humanity with politics of hope. Sewpaul will discuss what people can do within their spheres of influence to make a difference.